Twitter is the best place for fans all over the world to find out and talk about what’s happening in the K-Pop world in real-time. Last year, the most Tweeted personality on a global scale was K-Pop band BTS (@BTS_twt). There were also 56 million Tweets worldwide related to “2018MAMA” in December 2018, which is the biggest K-Pop award ceremony every year. Additionally, the live Twitter Blueroom for K-Pop band EXO (@weareoneEXO) in November 2018 was watched by 1.5 million people, setting the record for the most watched K-Pop #TwitterBlueroom ever. With K-Pop being one of the top global conversation drivers on Twitter, we have now extended the In-Stream Video Ads to K-Pop content. This will allow brands around the world to now run pre-roll video ads targeted at users who watch K-Pop content on Twitter. Aside from increasing the profit of video content copyright holders on Twitter, it also enables brand advertisers to easily reach young, high-engagement consumer audience who wants to support their favourite K-Pop bands by watching related videos on Twitter. To further provide advertisers a chance to maximise their campaign efforts, we also extended In-Stream Videos Sponsorships to exclusive Twitter-produced K-Pop content, allowing brands to insert pre-roll ads into video highlights of K-Pop #TwitterBluerooms. These exclusive live Q&A sessions on Twitter with over 200 K-Pop artistes and their fans have established engaging conversations worldwide, with an average of 1 million viewership for each Kpop Twitter Blueroom in 2018. For example, in December 2018, LG U+ was the first brand to work with Twitter on this new advertising tool. Through the first sponsored Twitter Kpop Blueroom, LG U+ introduced their new performance video platform, U+ Idol Live, on a global scale to K-pop fans, accumulating up to 1 million views. Both In-Stream Video Ads and In-Stream Video Sponsorships will also allow brand advertisers to complement traditional advertising efforts through a synergistic effect with digital video advertising. In addition, there are no regional restrictions, allowing global brands to reach Kpop fans on Twitter in as many as 22 markets including: Australia, Brazil, Canada, Egypt, France, India, Indonesia, Japan, Korea, Kuwait, Lebanon, Malaysia, Mexico, Philippines, Qatar, Saudi Arabia, Singapore, Spain, Thailand, UK, United Arab Emirates and US. 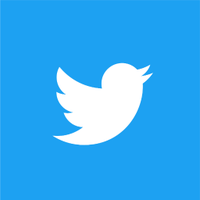 Twitter plans to continue to expand the available countries of this service. On the other hand, Nielsen Brand Effect Data (2017.11-2018.04) found that people who have viewed In-Stream Video Ads on Twitter showed 60% more ‘Ad Recall’, 30% more ‘Brand Awareness’, and 5% more ‘Purchase Intent’, compared to those who were not exposed to the Ads.